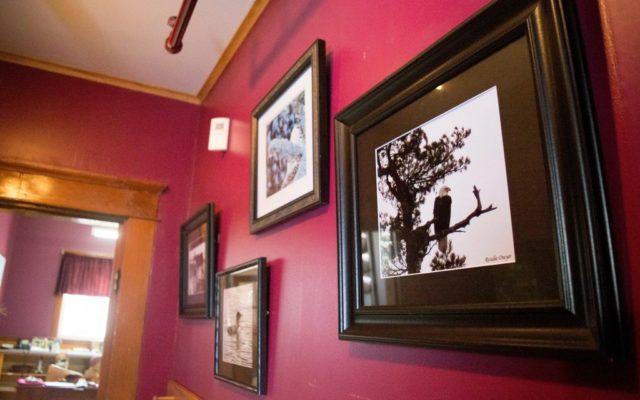 Scenic photos of the northern Maine wilderness, and the fauna within, are now on display at the Caribou Nylander museum into April of this year. CARIBOU, Maine — Scenic photos of the northern Maine wilderness, and the fauna within, are now on display at the Caribou Nylander museum into April of this year. Local photographer Rosalie K. Dwyer said Gail Hagelstein of the Nylander Museum board saw her photos and asked her if she would be interested in lending them to the museum. 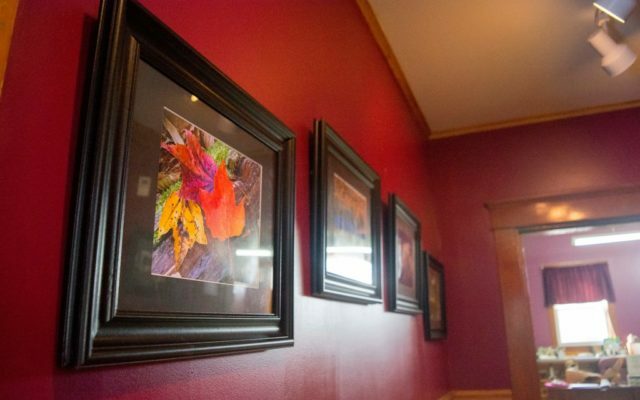 On Friday, Feb. 1, Dwyer hung eight photos along the walls of the museum. Dwyer, who grew up in Connecticut, said her interest in photography began when she moved to The County in 1981 and had a chance to experience the myriad locales of untouched nature first-hand. At first, Dwyer took photos using film, but transitioned happily to digital photography years later. Now, she uses a Canon Rebel DSLR with a plethora of lenses, and goes out into the woods “wherever and whenever,” with the sole intent of taking as many pictures as possible. Throughout her years as a photographer, Dwyer said she’s learned to “look up” more often, adding that an incredible photo could be directly above someone who only looks straight ahead. She said her husband also makes sure she doesn’t get too close to any potentially dangerous wild animals while taking pictures, something Dwyer said she often doesn’t worry about in the moment. One such occasion of getting too close to comfort occurred when Dwyer, her husband and mother were visiting Baxter State Park and found a moose charging at them. 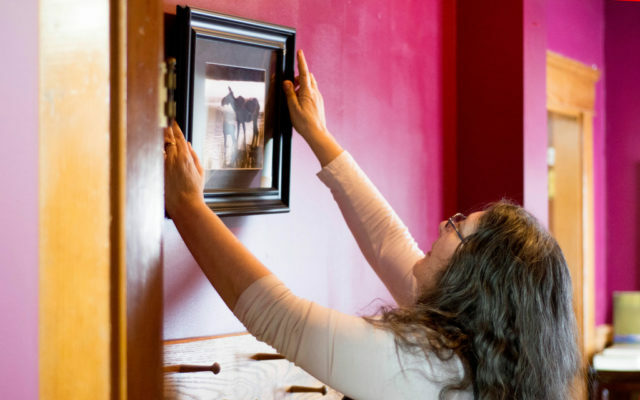 Looking ahead, Dwyer plans on expanding her work to include offerings for people unable to either afford large framed photos or who do not have the room to hang them. This includes creating greeting cards, coasters and bookmarks offered at a lower price. As far as going out and getting new photos, Dwyer said she has no plans on stopping any time soon. “I will continue until I can no longer take photos,” she said.